Preferred Systems, Inc. works with professionals who need to know more about substance use disorders and gambling addiction, including addiction treatment providers as well as people in the fields of human services, education, and criminal and juvenile justice and medicine. How can we help you improve your knowledge and skills? Please feel free to contact us about curricula, trainings, and other materials to help you recognize and address risky substance and gambling abuse more effectively. Preferred Systems, Inc. offers online courses for addiction professionals, social workers, nurses, teachers, licensed professional counselors and the general public. Visit our course catalog now to learn more. Ready to Learn More about Behavioral Health Training Programs? Contact us at 888-455-7437 or info@preferrededucation.com to learn more about our Behavioral Health Training Programs. 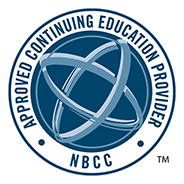 Preferred Systems, Inc. has been approved by NBCC as an Approved Continuing Education Provider, ACEP No.6273. Programs that do not qualify for NBCC credits are clearly identified. Preferred Systems is solely responsible for all aspects of the program. Since 1995, our mission has been to promote the value of career advancement through all forms of training; including mandated pre-licensing preparation, continuing education, OSHA safety training, and behavioral health, violence, and gambling prevention training. Our clients include professional associations, large corporations, small businesses, as well as government offices and public institutions. We provide quality educational programs for our clients that are personalized to meet their organization’s unique training needs. Preferred Systems is headquartered in Erie, Pennsylvania and has additional office locations in Baltimore, Maryland and Chautauqua, New York. We work with organizations across the country to deliver the training your members or employees need to stay competitive in your industry.